First time in Paris? Lucky you! As someone who has visited many times, I know on paper your first trip to Paris can see a bit overwhelming. 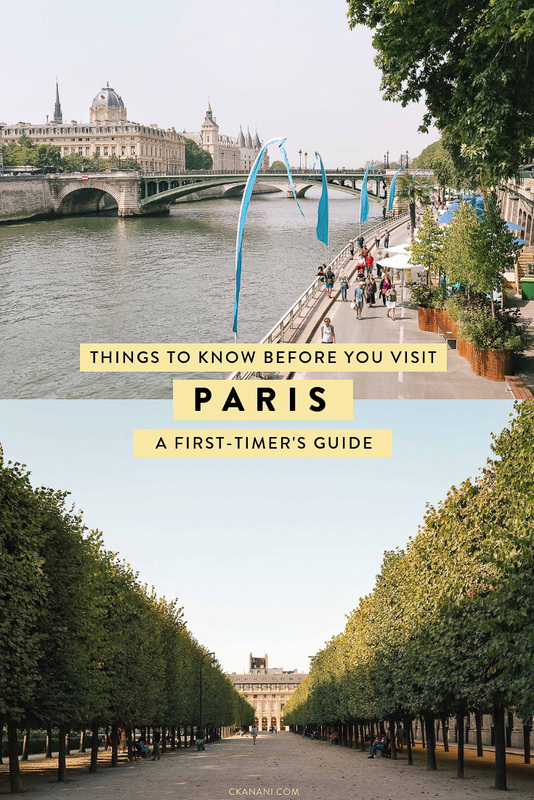 Here is everything you need to know before you visit the magnificent city of lights — a first-timer’s guide! Paris is truly wonderful year round (even during winter! ), so it depends on what kind of trip you are looking for. 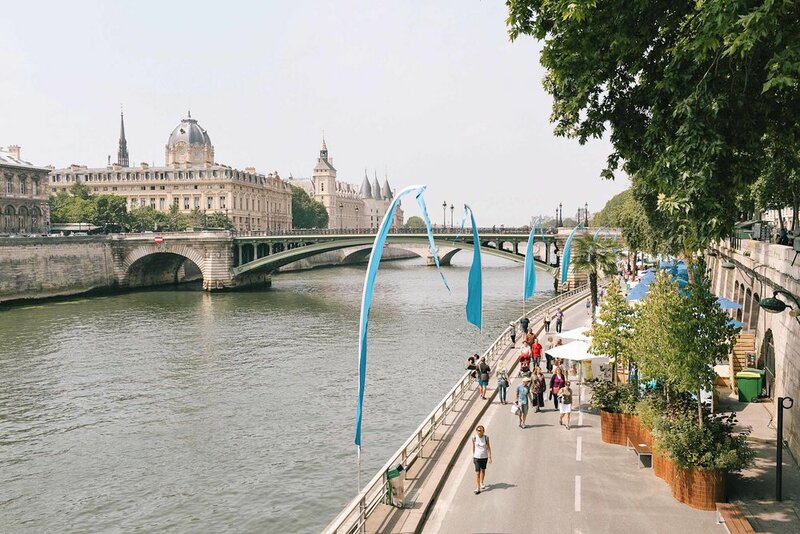 For detailed information on Paris during each season, see The Best Time to Visit Paris. As someone who continues to go back to Paris over and over again, there really is no amount of time that is too long to visit! There are endless things to see and do and one could never bore of this magical city. At the very least for your first time in Paris, plan for three days. You won’t see everything (not even close) but you will get a good taste of it. Paris has two international airports, Charles de Gaulle, the largest, and Orly. Charles de Gaulle is located 23 km north of the city. Public transportation from CDG to central Paris is easy via the RER train. This will take you from the airport to the city where you can then transfer to the Metro in order to reach your final destination. More expensive but certainly less of a hassle, Uber is available in Paris (use code “kbae3” to get your first ride for free!). Click here to reserve a private transfer from Charles de Gaulle. Orly Airport is 14 km south of the city. From here you can take the Orlyval shuttle train to the RER station, then follow the same as above. Again, if you are tired and looking to get to your destination as quickly as possible, call an Uber! You can also get to Paris via train. Each train station is reachable by Metro line, so once you arrive you can hop over to the Metro to get to your final destination. Getting around in Paris is very easy thanks to their wonderful Metro system! It takes you basically anywhere you want to go and is incredibly easy to understand, even if you are English speaking only. 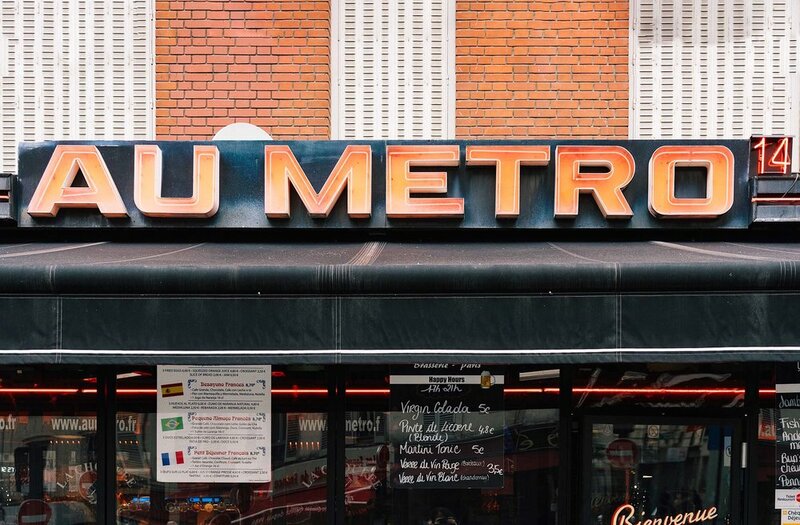 Tickets to the Metro are sold as singles, in books of ten, as a day pass, and more. What you buy will depend largely on what you plan to do. Because I spend most of my time actually in the city (within what the Metro system refers to as “Zone 1”) and I do a ton of walking, for me the most logical thing is buying single tickets. Each ride is €1,90. Do NOT buy a day pass without doing the math to see if it’s worth it. For example, currently a day pass for one adult is €12. Since each individual pass is €1,90, in order for that to make sense I’d have to be using the Metro more than 6 times a day. I personally use it 2-3 times per day at most. Tickets do not need to be purchased in advance, but can be bought at the Metro station. Cash is accepted, as is card. To avoid waiting in line each time, I always buy a handful at once (or a book of 10 depending on how many I need). Paris is also very walkable and, for the most part, pretty flat. There are also city bike rental services you can use if you prefer to explore on wheels! Speaking of payments, Paris’ currency is the Euro. Almost everywhere takes cards but I always recommend having a fair amount of cash on hand in case of emergency. There are plenty of ATMs in the city should you need one during your trip, too. Don’t forget to double check that your credit card has no foreign transaction fees before you go. My personal favorite credit card for travel is the Chase Sapphire Preferred. Apply HERE and get 50,000 bonus points! All prices displayed in Paris are inclusive already of taxes and service charge. 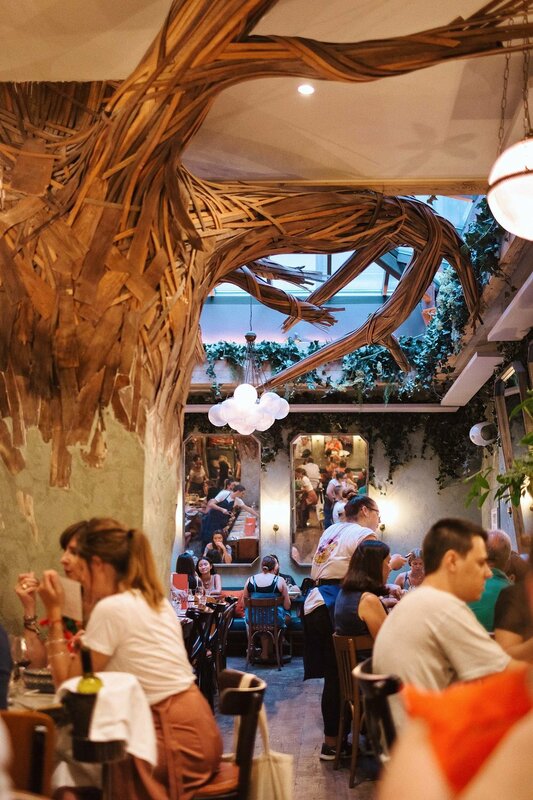 Tipping in Paris is not as common as in the US, but if the service has been great then you are welcome to tip 5-10% (20% like in the US is not necessary or expected). The main language spoken in Paris is of course French. I have found that most people in the city do also speak English, so you don’t need to go all out and learn French prior to arriving. It’s not a bad idea to brush up on your Duolingo lessons prior to arriving, though! Paris is broken up into 20 Arrondissements (districts). Like the neighborhoods here in SF, each has it’s own unique personality and is loved for different reasons. The first Arrondissement, where the Louvre is found, is located in the center of the city. From there they spiral out in a clock-wise direction. 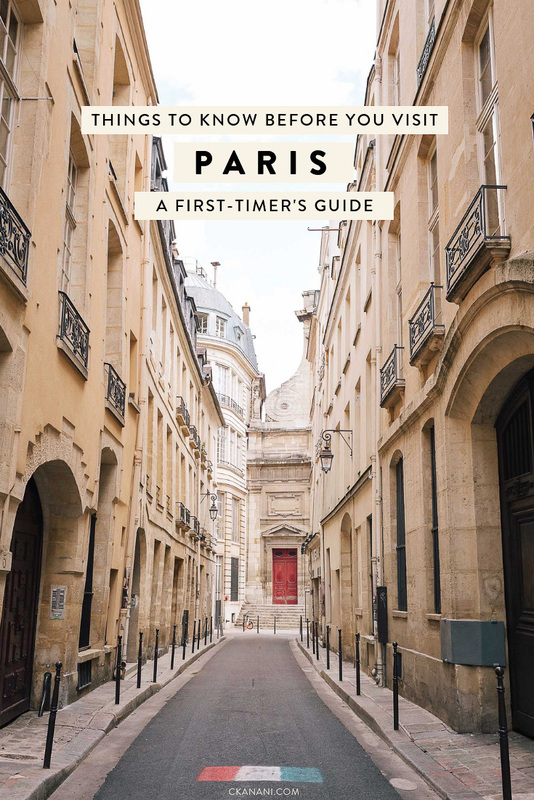 Read Everything You Need to Know About Paris’ 1st and 2nd Arrondissements and A Guide to Le Marais, The Best Neighborhood in Paris (the 3rd and 4th Arrondissement) for more info. More detailed breakdown of the remaining arrondissements coming soon! 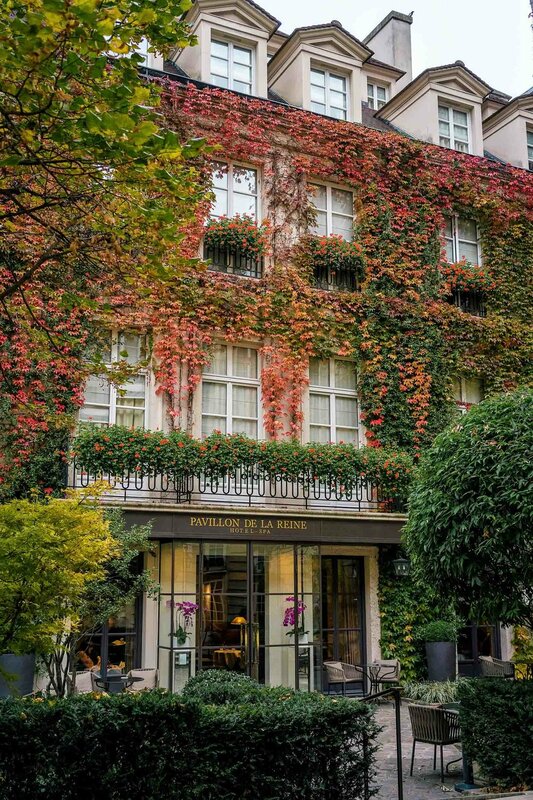 LE PAVILLON DE LA REINE is a jaw-dropping five-star hotel located in the heart of Marais in Place des Vosges, once of my favorite spots in Paris. 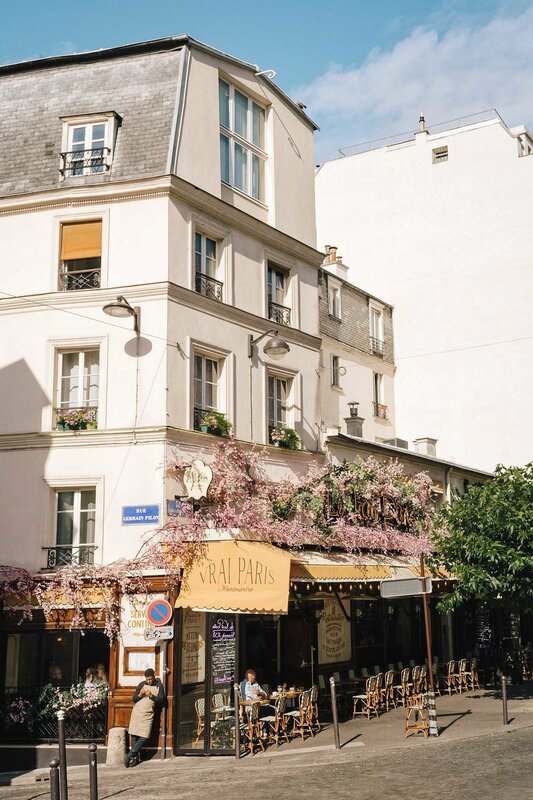 It is drenched in ivy and such a luxurious, wonderful gem tucked away from the hustle and bustle of le Marais. I have stayed here personally and highly recommend it. Click here to see the latest prices. Read and see more about my stay: Where to Stay in Paris: Le Pavillon de la Reine. THE HOXTON is another wonderful hotel I recommend. 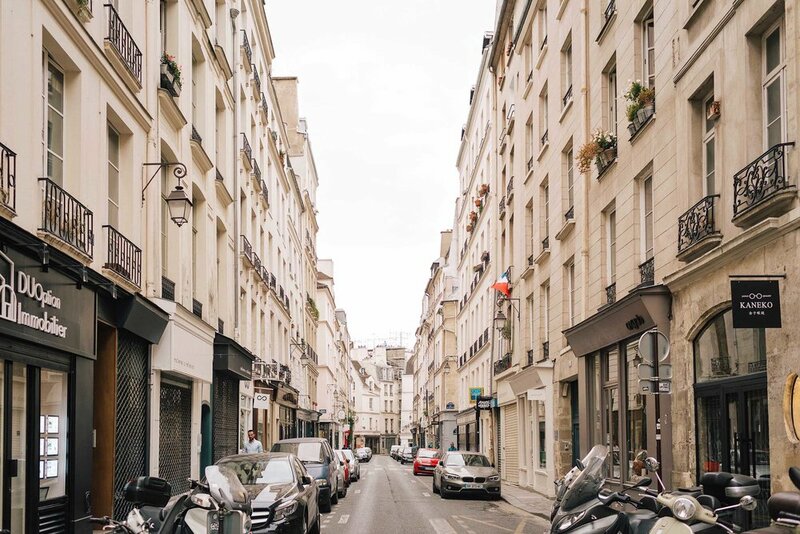 It’s located very centrally in the 2nd Arrondissement and is beautiful beyond words. Last time I visited I booked two nights here and ended up liking it so much that I extended to four. Click here to see the latest prices. 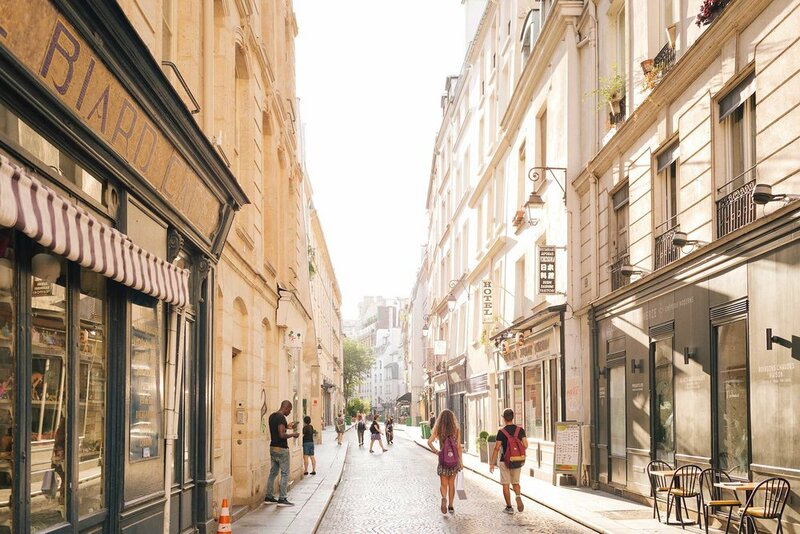 If you prefer a more local experience, click here for 8 Paris Airbnbs in Le Marais You Must Stay In. Looking for an Eiffel Tower view? Click here for the Best Hotels and Airbnbs with Eiffel Tower Views. Or see the sights via a hop on hop off bus tour or via bike! LOIRE VALLEY: take a day trip from Paris to the Loire Valley to see Chambord, Cheverny, and Chenonceau, some of the most famous castles! Click here to see the latest prices. NORMANDY D DAY BEACHES: take a day trip from Paris to Normandy and the WWII D-Day beaches. Includes a guided tour of the Caen Memorial Museum, a visit to the American Cemetery in Saint Laurent, and more. Click here to see the latest prices. MONT SAINT-MICHEL: visit the village’s medieval buildings and enjoy the beauty of the landscape as you explore the region! Click here to see the latest prices. THE CHAMPAGNE REGION: visit and taste in a world famous champagne estate, enjoy a food and champagne pairing meal in a family-run winery, visit Dom Perignon’s grave and meet a local winemaker. Click here to see the latest prices. GIVERNY: visit Normandy, the home of Claude Monet, and the Musee des Impressionismes. Click here to see the latest prices. 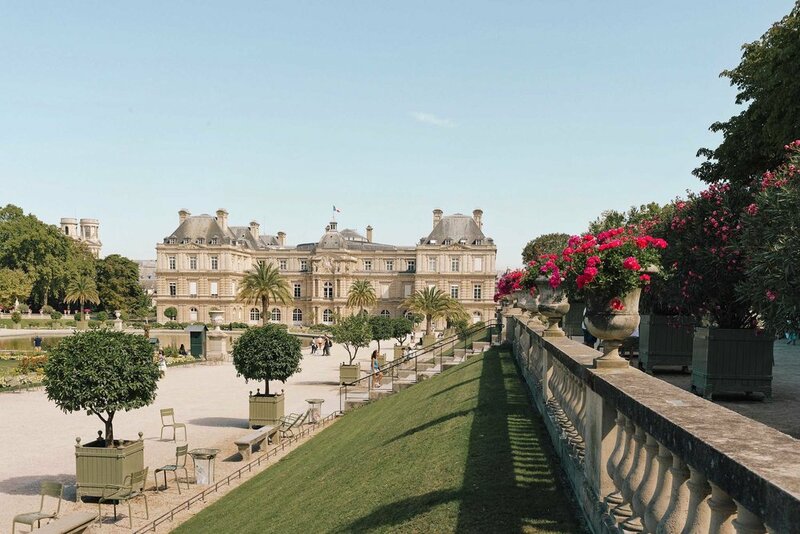 VERSAILLES: a half-day Versaille tour with direct hotel pick up and drop off! Click here to see the latest prices. Want something more unique? Click here for the Versailles murder and mysteries tour! COMFORTABLE SHOES. You will likely (hopefully) be doing a lot of walking so this is very important! My very favorite are M. Gemi’s white leather sneakers. I literally never travel anywhere without them. Click here to see latest prices and use code “CHRISTIE40” for $40 off your first pair. CONVERTER ADAPTER. This one is universal and works no matter where you’re going so it’s a must. When going to the EU I also bring along this very inexpensive 6 pack so that I have extras. So much to charge these days! Need other recommendations? Click here to see 20 Must Have Travel Products from Amazon Prime. WARM NEUTRAL COLORED SCARF. & Other Stories’ oversized wool scarf is my absolutely favorite and comes in so many beautiful colors. Paris can get quite cold — you’ll need one! Click here to see the latest prices. STYLISH CAMERA BAG… if you are bringing a camera! You can’t go to Paris with anything that isn’t chic ;) Since pickpocketing is a thing in Paris I bring GATTA’s Christie camera backpack (named after me) because it’s hands free, has a zipper AND a buttoned flap, and fully protects my camera yet is so cute no one will ever know it’s a camera bag. Click here to see the latest prices. A FEW PARIS THEMED THINGS. I love bringing a few themed things to Paris, especially for photos! Grab this beret, this inexpensive “j’adore” shirt (I own it too! ), this “pardon my french” shirt, and/or this “salut!” tee. Click here for a full packing list + free printable packing checklist: What to Pack for a Cold Weather Trip.